For three decades, Diablo Canyon Power Plant has been a safe, clean, reliable and vital energy resource for California. The plant provides low-cost, carbon-free energy for more than three million people and plays a key role in allowing PG&E to deliver some of the nation’s cleanest energy to its customers. The plant also serves as a significant economic engine for California’s Central Coast—playing an essential role in the San Luis Obispo community and regional economy. We remain strongly committed to the highest levels of safety, performance and security at Diablo Canyon. The Nuclear Regulatory Commission’s (NRC) 2014 assessment places Diablo Canyon among the higher performing plants in the U.S. nuclear industry. This reflects the hard work and dedication of our employees and our commitment to meeting PG&E’s and the NRC’s high performance expectations. The NRC also confirmed that it will address one open item in their assessment by performing an additional inspection at the plant site later this year. Specifically, the NRC will review the corrective actions PG&E has taken regarding a change made to a previous emergency response plan. PG&E self-reported and corrected the change in 2013, and the NRC determined the public was never at risk. The additional inspection is not related to current plant performance. New and extensive analyses performed at the direction of the NRC re-confirmed that Diablo Canyon can safely withstand extreme natural events, including potential earthquakes, tsunamis and flooding. The hazard re-evaluations used the latest regulatory guidance, scientific methods and models, site-specific information and independent expertise to re-evaluate the impacts that earthquakes, large waves and flooding could have on the facility. The updated findings represent the culmination of years of study and analysis, and further confirm the safety of the plant’s design. The updated seismic assessment represents a more extensive evaluation of the seismic hazard than previously performed. Using the NRC’s Senior Seismic Hazard Analysis Committee process, independent seismic experts publicly re-evaluated existing and new seismic information to re-evaluate how earthquakes could potentially impact the facility. The result is a more thorough assessment of the seismic hazard, providing additional confirmation that the plant is seismically safe. The assessment also informs PG&E’s Long-Term Seismic Program, overseen by a team of geosciences professionals who partner with independent seismic experts on an ongoing basis to evaluate regional geology and global seismic events to ensure the facility remains safe. At both Diablo Canyon and a former nuclear unit at Humboldt Bay Power Plant, PG&E safely stores used fuel in on-site dry cask storage systems approved and licensed by the NRC. Diablo Canyon also safely and securely stores spent fuel in wet storage facilities. These on-site storage systems are used at nuclear power plants across the world and protect the used fuel against a range of threats, including severe weather, earthquakes and terrorism. These two on-site interim storage solutions are federally monitored and follow industry best standards to ensure they are safe and effective. The ability to store spent fuel safely on-site, however, should not be a long-term alternative to the federal government assuming its responsibility to accept the fuel for permanent storage. To that end, PG&E will continue to advocate that the federal government meet its commitment and take charge of managing the nation’s spent fuel. PG&E actively manages the water used in the electric-generation process in accordance with the water discharge limit set by Diablo Canyon’s Clean Water Act permit. In a typical year, at least one of Diablo Canyon’s two reactor units safely undergoes a planned refueling and maintenance outage. Once every five years, both units undergo a planned refueling and maintenance outage, due to their separate operating schedules. This occurred in 2014, when we completed planned outages to refuel both Unit 1 and Unit 2 and perform scheduled maintenance, including equipment upgrades, extensive safety inspections and tests, and numerous plant improvements. PG&E also continued decommissioning the former nuclear unit at Humboldt Bay Power Plant. PG&E has completed removal of prior operational nuclear systems and equipment, as well as demolition and removal of some structures on site. Final site restoration and remediation plans have been submitted to the NRC and are in the final review and comment phase. Permits to support that work have been submitted to California agencies and are under review. PG&E employees volunteer thousands of hours of their personal time each year to after-school athletic programs, environmental organizations, churches and other community organizations. In 2014, PG&E also made charitable contributions of nearly $800,000 to more than 70 nonprofit organizations in San Luis Obispo and Santa Barbara Counties. Local PG&E employees pledged $575,000 to nonprofit organizations through our Campaign for the Community. Visitors can learn about the plant and a range of energy-related topics at our Energy Education Center and the Diablo Canyon website. Also, guided tours of Diablo Canyon provide an opportunity to speak directly with employees and learn how the plant provides safe, reliable, affordable and clean energy. Diablo Canyon consistently achieves strong performance, as gauged by the plant’s capacity factor, a measure of generation reliability. In 2014, the plant’s capacity factor decreased slightly, largely due to planned outages to refuel both units at the plant, which occurs every five years. In a typical year, only one of the plant’s two reactor units undergoes a planned refueling and maintenance outage. 1 Refers to the ratio of the actual output of the plant relative to the output if the plant had operated at full capacity for the year. Diablo Canyon is a vital local economic engine and brings significant benefits to San Luis Obispo and Northern Santa Barbara counties. Planned refueling outages can bring almost 1,000 temporary workers to the Central Coast where they spend money on local housing, dining and shopping. In advance of the planned outage for Unit 2, PG&E held a jobs fair at our Energy Education Center in San Luis Obispo to help fill the temporary positions. Beyond these temporary jobs, PG&E is the largest private employer in the area, with more than 1,500 workers and operations that contribute more than $900 million to the region through the funds it directly spends and the subsequent economic activity in the community from those investments. Tax revenues from the plant, the largest property tax payer in San Luis Obispo County, help fund schools, public work projects, public safety, and health and other vital services. Diablo Canyon will continue to play a crucial role in California’s energy supply, providing safe, reliable and greenhouse-gas-free power on a scale unmatched in our state, especially as the state transitions to more renewable energy sources, like wind and solar, whose output varies. We will continue our efforts to ensure the safety of our operations and the facility and implement best practices so that Diablo Canyon can continue contributing to a clean energy future in California. 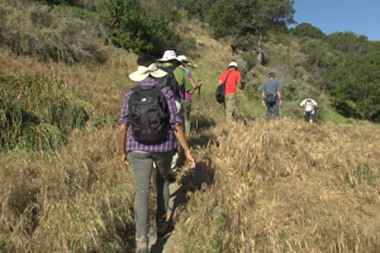 Limited water supplies as a result of four years of drought inspired a new local partnership. PG&E signed an agreement with San Luis Obispo County to provide water from Diablo Canyon’s desalination facility for emergency purposes. 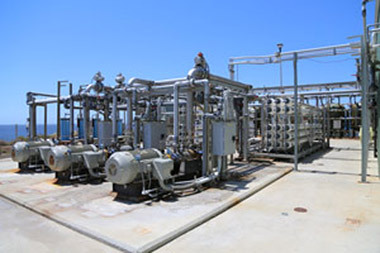 Under the agreement, PG&E and the county are developing a feasibility study to examine what steps would be involved to connect the desalination facility to existing local water infrastructure.